Dec. 2, 2016 2:00 p.m. The long-awaited Evergreen Line opened to the public at noon on Friday. 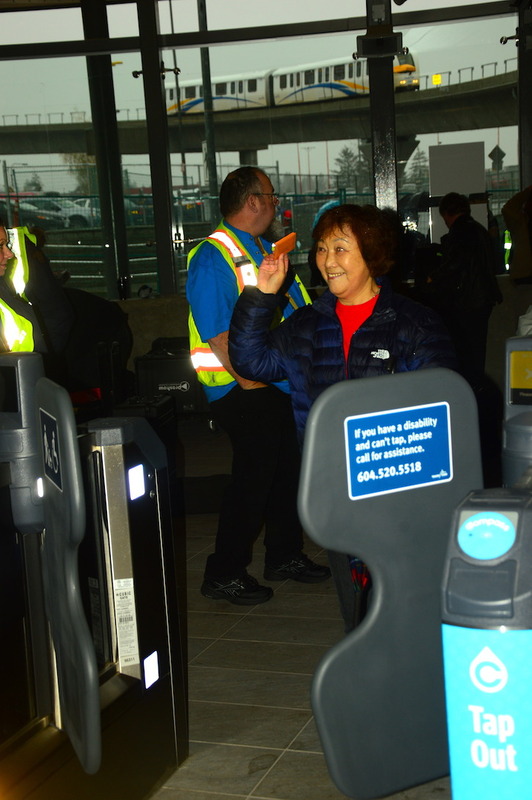 The 11-kilometre, $1.43-billion SkyTrain extension connects 70,000 Tri-cities residents per day with downtown Vancouver, according to Port Moody-Coquitlam MLA Linda Reimer, making Vancouver’s fully automated rapid transit system the longest in the world. The construction and rollout hasn’t been smooth sailing. Difficulties with the boring machine during a two-kilometre underground stretch in Port Moody led to long setbacks. The original target operating date was in late 2014, set by then-Transportation Minister Kevin Falcon in 2008. The province did, however, beat its latest goal of early 2017. People who came out to the Coquitlam Centre Station for the inaugural public train ride said they’re glad the Evergreen Line finally here. The extension runs from Lougheed Town Centre in Burnaby, with stations in Coquitlam and Port Moody, the last being next to Lafarge Lake in Coquitlam. It will connect to express buses running to Pitt Meadows and Maple Ridge. TransLinks shared the cost with the provincial and federal governments via an additional two per cent gas tax started in 2011. The NDP have criticized the long wait times for the Evergreen Line’s completion. “Evergreen joins a long line of projects for Christy Clark that are late and over budget, in this case costing our transit system over a hundred million dollars that should have gone into improving services,” said NDP TransLink critic David Eby.